The Huffington Post is in the midst of publishing a 15-part series that details Johnson & Johnson’s push of the anti-psychotic drug Risperdal. The drug was approved for sale in 1994 for patients with psychosis, but was not approved for use in adolescent or elderly patients. Skirting the Food & Drug Administration and the law became the crux of Johnson & Johnson’s aggressive marketing plan, which was designed to make Risperdal the best-selling anti-psychotic drug on the market. The series is a bombshell. Three chapters of the 15-chapter series have been published by The Huffington Post so far. Every day brings a new chapter – and more tales of how one of the world’s largest pharmaceutical companies pursued sales at all costs. Selling the drug to approved patient groups for FDA-approved uses wasn’t enough for Johnson & Johnson. Drug sales representatives pushed the drug onto doctors who dealt with psychiatric illnesses in children and elderly, and pushed them to prescribed the drug for symptoms such as agitation in the elderly, which is not an approved use. The FDA warned Johnson & Johnson, repeatedly, that the company was not marketing Risperdal as promised when the drug was approved. Johnson & Johnson argued that the company’s First Amendment rights to say whatever they wanted about the drug were being violated. The company also sought cooperative partners, such as large health care companies, that would make Risperdal the drug of choice for patients. Some doctors who were high prescribers of Risperdal were paid for speaking engagements. Meanwhile, the severe side effects of Risperdal were buried in tiny, pale print or downplayed by sales representatives. Johnson & Johnson knew Risperdal was causing some adolescent boys to grow large breasts, a condition known as gynecomastia. One account indicates a boy grew breasts as large as 44 DD. Studies of the drug indicated that nearly 5 percent of patients experienced gynecomastia. Also, patients were at an increased risk of sleep-walking, nausea and significant weight gain. Yet, all while these studies indicated Risperdal had huge problems, and while the FDA warned Johnson & Johnson that it was skirting, if not breaking, the law, the company continued to promote Risperdal. This story will continue to unfold over the next 12 days. The Huffington Post has researched this extensively, and is providing documentation throughout for those who want to read supporting evidence. It’s a fascinating look at how drug companies can operate if they pursue sales at all costs – and it’s horrifying. Kentucky and Tennessee residents aren’t safe from such practices. Risperdal was marketed here, just as it was everywhere else, and we are now representing several patients who suffered ill effects from Risperdal. If you or someone you love suffered from Risperdal, please get in touch with an attorney right away. 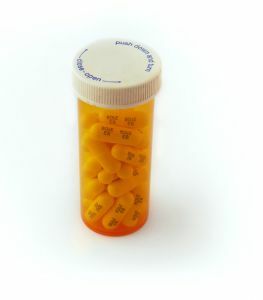 Do not quit taking any medication, even Risperdal, without discussing it with your doctor. There is no cost to talk to one of our attorneys about your case. You can contact attorney Bob Young at English, Lucas, Priest & Owsley in Bowling Green, Kentucky, at (270) 781-6500.